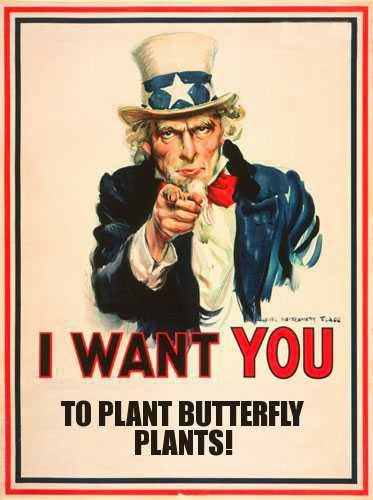 I just finished creating a PDF listing some of the more common Southern California butterflies one will encounter in a typical garden containing nectar plants. It contains photos and information about the butterflies, their caterpillars and the host plants they feed on, plus photos of their respective chrysalises. 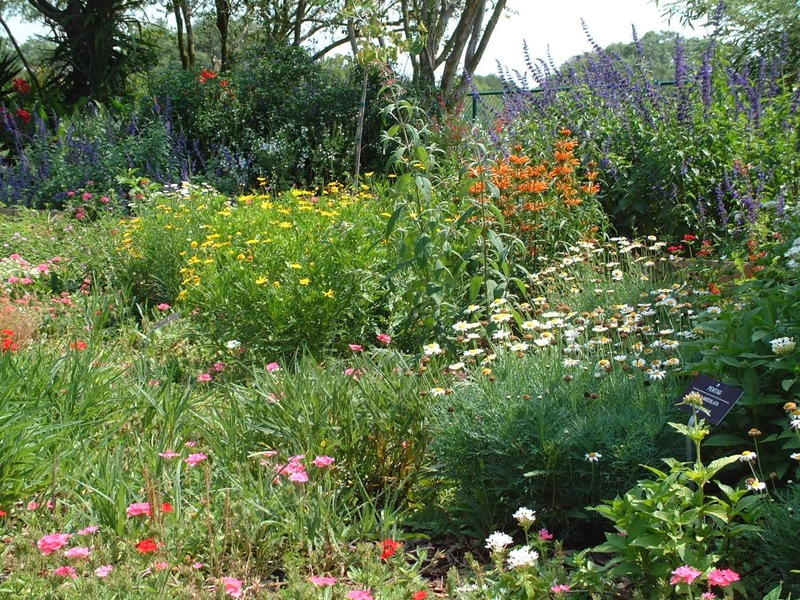 I came across this photo below of a butterfly garden when surfing for butterfly related information. I really like its large size and the way it is arranged; reminds me a little bit of a French Provincial cottage garden with its very lax and soft design. The second batch of seeds have been planted in a seed tray and are sitting on the heating mat by my bedroom window. This batch contains Asclepias speciosa (Showy Milkweed) and Echinops ritro ruthenicus (Globe Thistle). 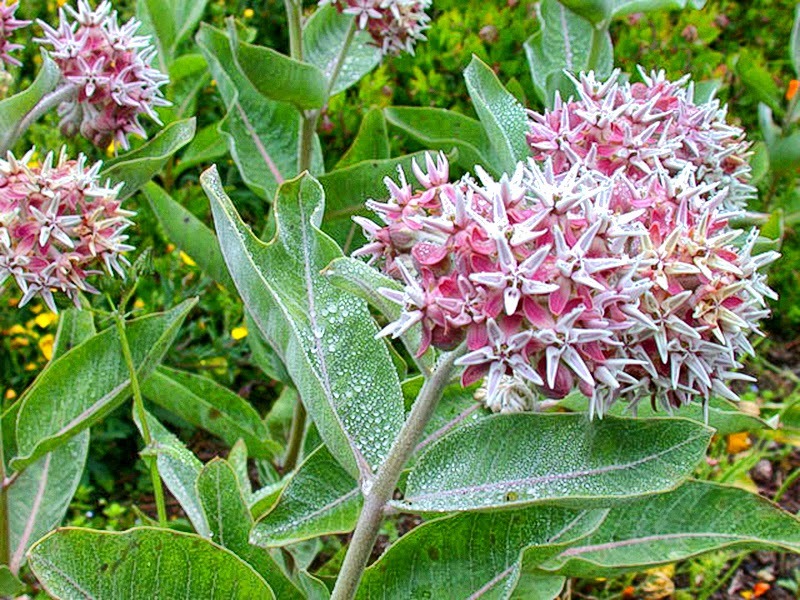 Showy Milkweed is a Western U.S. native, also found growing in California. Aptly named, Showy Milkweed is probably one of the most beautiful bloomers of the milkweed family. Drought tolerant and easy to grow. Good choice as a Monarch butterfly host plant; has large leaves, making for lots of caterpillar food. 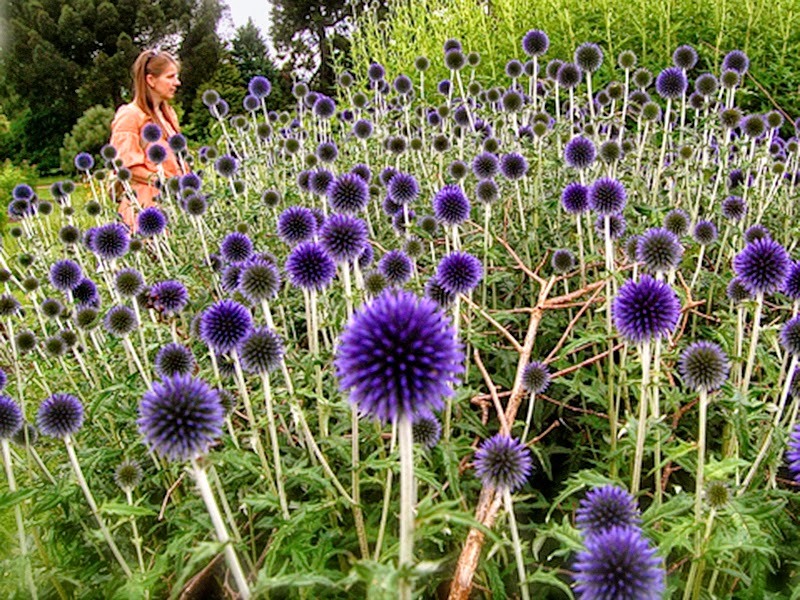 Globe Thistle is a native of Russia and parts of Eurasia. Its striking flower globes make interesting and long lasting cut flowers. It's a total chick magnet as the above photo attests, and also has the side benefit of attracting butterflies in copious amounts.